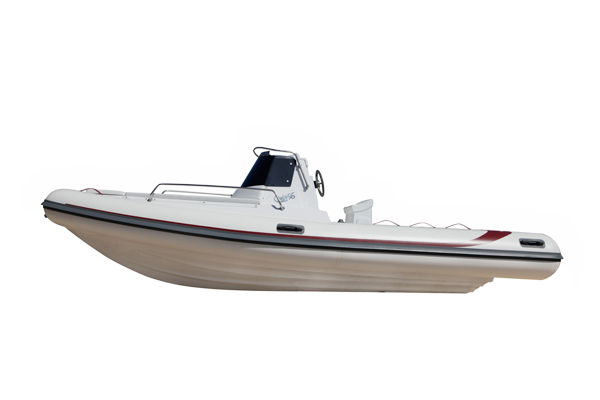 Cabin56 is innovation about Rib rental. 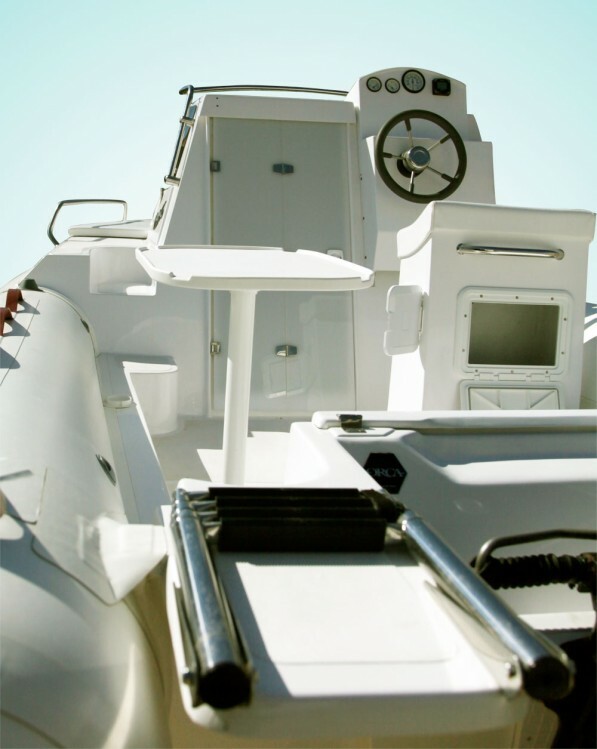 The Cabin56 offers unique details for a boat that make it more advisable than other crafts in this class.The difference is basically the cabin, with all the comfort associated with it, but don’t forget the numerous tactics adopted to make it the best for RIB rental[:] It can be driven without license.. So it can be rent from anyone. A quite nest floating away from the crowds massed on the beach, with comfortable chairs, cushions, cosy bed. Even the usefulness of the chemical toilet can’t be underestimated. 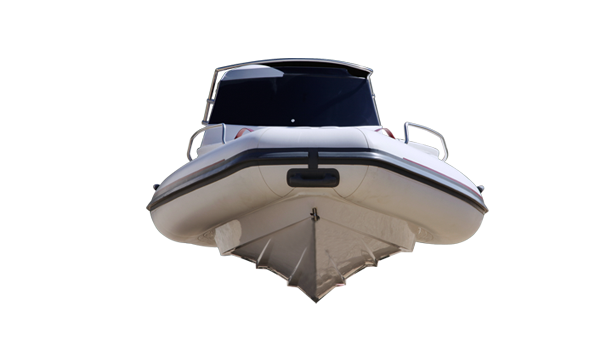 Ideal for those seeking peace anchored in a cove or who have children to keep shelter. Completing the convenience of C56 there is the ladder at the stern, with the step obtained in the cockpit and the side decks, complete with handrails, which allows you to get easily from the cockpit to the sun deck, even while navigating. A reliable mate to protect you even in winter. Thanks to its structure Cabin56 is ideal for those who go to sea for work or passion, even in cold weather. The cabin is a guarantee of security and tranquility and offers a comfortable shelter from the cold weather, useful for instance for putting on and off the suit for diving. [:] The large lockers aft, and the ones under the cushions in the cabin, offer you space for all equipment. 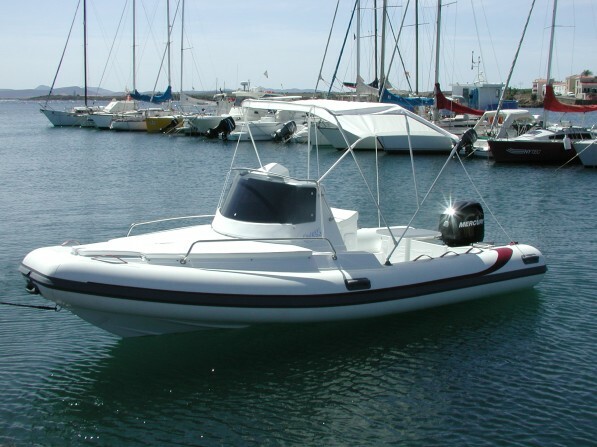 The sole tank, located under the cockpit (it can be inspected from the cabin), takes you away from problems related to the use of mobile tank and gives you precious living space. 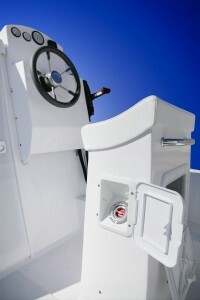 The tank opening under the driver’s seat, permits you to fill the tank easily with the standard pump nozzle. The internal toilet guarantees comfort and shelter, even in winter. 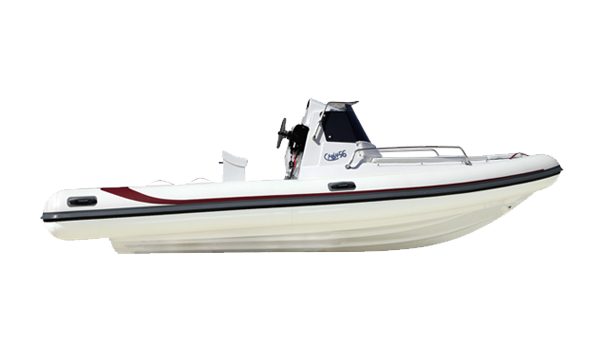 The C56 is the right compromise between the space of a small semi-cab boat and the lightness of a small size inflatable boat: for this reason gives the owner the best features of the two types of craft. › Cuscineria interna e esterna (realizzata con materiali idrorepellenti).